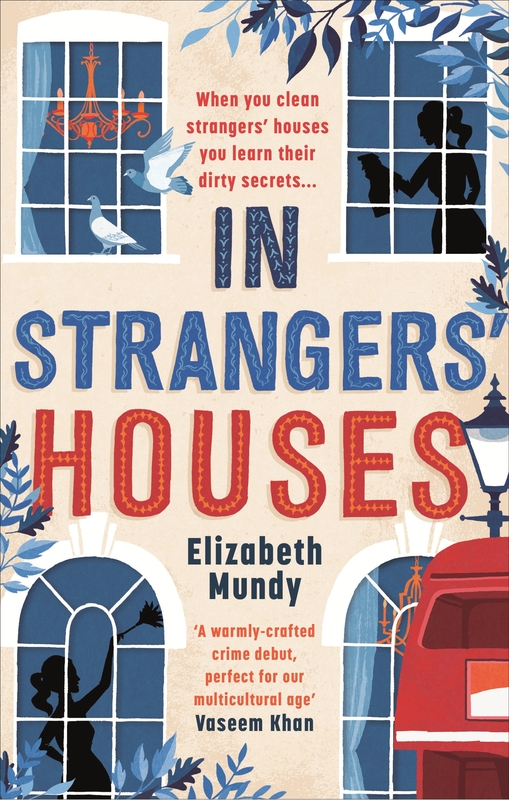 Elizabeth Mundy talks here about the inspiration behind her brilliant crime debut, In Strangers’ Houses, which is out now! Having a cleaner as a detective is unusual in crime fiction, but to me it seems natural. Inspiration struck the first time I visited the flat of my, until then, rather promising new boyfriend. He seemed lovely: funny, successful and very sweet. He seemed sorted: he had a good job, wore a nice to suit to work and bubbled over with confidence. Then I saw his flat. Cleaners have intimate access into their clients’ affairs. In general, I doubt they are interested in the state of their clients’ sheets or the contents of their bins. But what if the cleaner suspected a client of a crime? What if it was a crime against their closest friend? What if that friend was now missing, and all they had is a list of clients, the keys to their houses and a mop? That’s how my novel IN STRANGERS’ HOUSES begins. But there’s more to cleaners than cleaning. Many of them are immigrants to this country. Outsiders looking in. My detective, Lena Szarka, is a cleaner in London, but I chose to make her Hungarian: my own great grandmother Magdaléna emigrated from Hungary to America just before the First World War. Magdaléna was an early economic migrant: she’d been told that in the States the streets are paved with gold. She ended up in Indiana, raising her six children in a house with a dirt floor. Magdaléna inspired Lena: her heritage, her recipes, but also her willingness to uproot everything in the hope of discovering a better life. Cleaners I’ve interviewed have had more prestigious jobs back home: nurses, teachers, insurance brokers. But in their native countries it was hard to make ends meet, let alone ever hope to buy a house. Leaving everything they knew to come to the UK meant that they had a chance for a better future. I feel sorry for the cleaner who landed the job with that messy boyfriend of mine. I’m sure it’s not what she had in mind when she came to the UK, full of hopes of a new life and fresh start. But she’s done us both a favour: she not only inspired my new crime series, but she also meant that I eventually made that boyfriend my husband.